Mr. India Dialogues - Get the best and famous dialogues from the movie. This is a sci-fi film thriller film, which is directed by Shekhar Kapur, with a screenplay written by Salim-Javed. Anil Kapoor, Amrish Puri, Sridevi played the main lead roles, Ashok Kumar, Satish Kaushik, Ajit Vachani and Sharat Saxena played Supporting roles. The movie was the second highest-grossing Indian movie of 1987 and remains a creed classic in India. The movie was released on 29 May 1987. The movie was Known for several of its lines and songs, as well as Sridevi's "Miss Hawa Hawaii" performance, and Amrish Puri's quote "Mogambo Khush Hua" which is one of the most famous citations of Bollywood. Laxmikant-Pyarelal's music performed well too, especially the song "Hawa Hawaii" which is very popular till today. 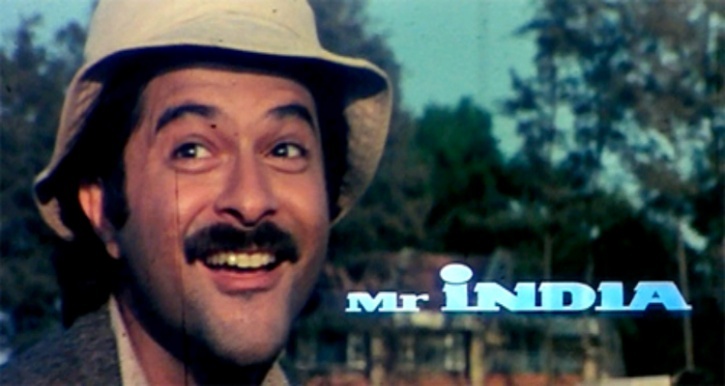 Mr. India was comprised amongst one of the 100 greatest Indian movies of all time. Here We have collected some best and famous dialogues from Mr. India movie some dialogues are really marvelous.